This type of system is the simplest and by far the most common conversion carried out. Suitable for all types of vehicle, the system introduces gas to the engine in a vapour form through the inlet manifold. 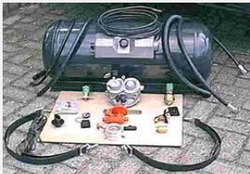 Older, carburettor vehicles and early, injection models use the LPG Kit reducer to control the inlet of fuel into the engine. Later vehicles use a slightly more sophisticated management system that reads the oxygen sensor in the exhaust. This then controls fuel levels using a stepper motor, which gives the most efficient fuelling at all times. Sequential Gas injection systems are becoming more popular as the costs have reduced and set-up of the systems is now considerably easier. The sequential system injects LPG as a vapour into each cylinder, very close to the inlet valves. 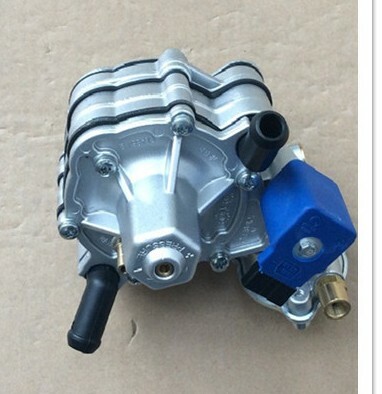 The system offers slightly improved economy and performance and eliminates the possibility of spit-back.Injection is more suitable for vehicles with very complex engine management systems or those fitted with plastic inlet manifolds. I installed CNG in my honda city 2006, very much satisfied with the power pick of vehicle. Surprised to see the average in just Rs 350 of gas it runs more than 160 kms in city on highway it runs around 190 to 200 km.I am very glad that I converted my car to CNG or I would have never realized that how cost efficient drive my car can be at just 2.25 rs per km. I recommend it. CNG Fitted my Eeco car and giving 22 to 26 km average. Very supportive people and quality work. I am satisfied with cng kit in my car. It is giving good average with same petrol like performance. Happy to install cng but only disappoint had to sacrifies my boot space. Misra Auto Gas is Govt. Approved CNG gas kit fitter in Anand,Gujarat. We have fitted more than 5000 CNG conversion gas kits like Sequential Gas kit, Tomasetto Gas kit in all types of cars.